We are delighted to present our new joint exhibition by two of Scotland's national treasures, Joyce Gunn Cairns and Alasdair Gray. 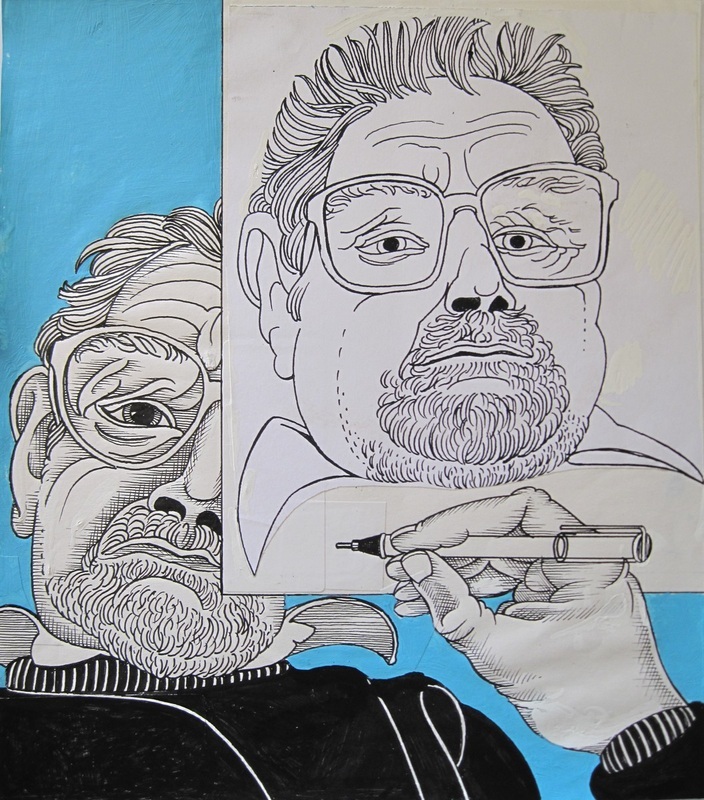 The exhibition features paintings, drawings and prints including a a portrait of Alasdair Gray by Joyce Gunn Cairns and of Joyce Gunn Cairns by Alasdair Gray, and rare work by Alasdair Gray from the 1950s. 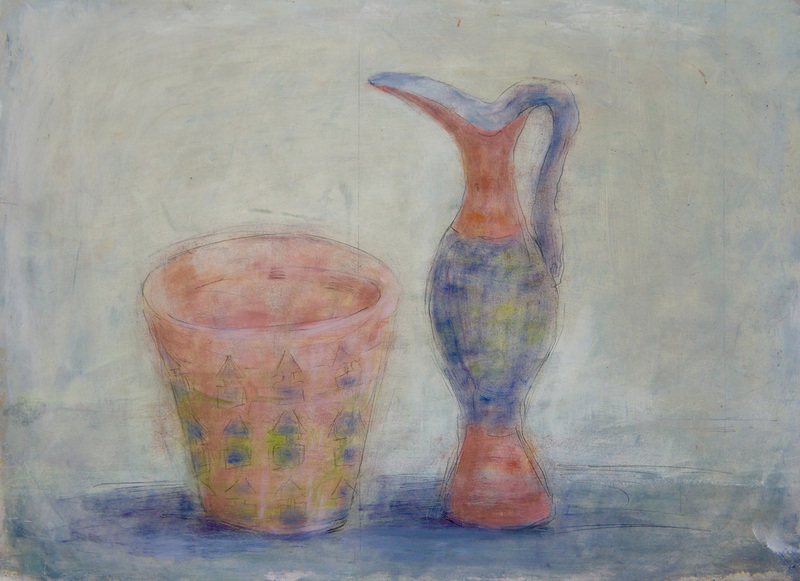 Joyce Gunn Cairns MBE trained in Drawing and Painting at Edinburgh College of Art. She is one of the most critically acclaimed artists working in Scotland today and has many works in the permanent collection of the Scottish National Portrait Gallery, the City Art Centre, and works in other major collections including Balliol College, Oxford and Jesus College, Cambridge. Writing in The Scotsman, Duncan MacMillan has said that "she not only manages that sense of reaching out to touch, she conveys how, from inwards, we feel outward, what it is like to be in one’s own skin." Ubiquitous Chip and Hillhead Subway Station in Glasgow. He published the novel Lanark in 1981, the first of nine novels that have changed the shape of fiction in Scotland and he has also published collections of poetry, short fiction and plays.